Lent is such a special time of the year for us. It is a time of renewal of both mind and spirit. and get yourselves a new heart and a new spirit. How sweet to think of yourself with a new heart! All fresh, new and beautiful this Spring. I know it takes a little work to make improvements a habit in my life. My focus is on gratitude and to not be ruled by impulses, spending habits, appetite, or desires. Everything I have belongs to God....everything...so my attitude and how I use these gifts are all part of God's plan for my life. For Lent I am focusing on the state of the union of my heart and asking the Lord to guide my decisions in regards to money, eating, buying, and giving to others. I am choosing a heart of gratitude. No complaining about this or that. How often have I complained only to hear the same tone and complaints come from my own children? Too often! Waaay too often! And where does that complaining get me? No where but on the path to negativity. God has made it plain and simple that we are to be content with what we have. So, when you overspend, overeat, compare yourself to another, you are not content. It is kind of like a "what you gave me wasn't good enough" response to the One who gave everything. This Lent, I am going to work on those things...which are very easy to fail at! When I catch myself complaining about something this week, I am going to replace it with gratitude...and say it out loud so my family hears it! Anxiousness is both useless and needless. Trust me, I am a pro at testing that theory out! Worry doesn't improve a situation one bit. It only creates fret and fuming of the heart. God wants you to be in perfect peace. This Lent I pray that we all receive the simple grace to be renewed and to grow in this season. The scripture you shared from Proverbs is one of my absolute favorite scriptures from the Bible. I am a champion complainer. I try not to do it so much out loud, but the fact that I do it in my own head even is not the best thing to do either. I am so much happier when I focus on the positive and count all of my many blessings. It's true also that when we put our lives and the things we have been blessed with in the Lord's hands, He can make so much more out of our lives than we could ever make of them on our own. Thank you for your example. I too will work on complaining less and being much more grateful. This is my first visit to your blog. What an encouraging post. Thank you for reminding us to remain content and filled with gratitude. Wonderful Julia! I've been dwelling on Matthew 5:48 lately; Give generously and graciously toward others, the way God lives towards you. Your post was refreshing and filled with the hope of newness. Blessings to you! Just what I needed to hear after these past 2 weeks Ju! You are always such an inspiring big sister! I love you! I love both those scriptures. Worrying is my down fall. I will be working on this. Good things to think on. Very well said. Words to ponder and great inspiration! This is something I am so guilty of myself. Reading the verses you listed and your words really puts it all in perspective. This is worth rereading often. Thank you. This is my first trip to your site. What an inspiring publish. Thank you for telling us to stay content and loaded with admiration. Thanks to you and Anne Marie my life is getting a whole new twist! I'm learning from you everyday and my favourite word is contentment! I used to complain quit a lot I admit but now...when I'm about to complain I immediately think about what I am given and a smile comes on my face, I say "Fra, you're a fool" and immediately I feel so content and free! Thank you for sharing your whole heart and exhorting me in many areas! This is so good, Julia. Gratefulness is something I always need more of. 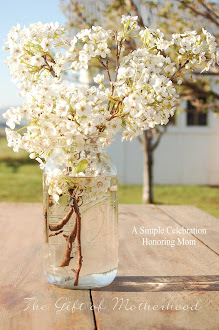 Have you read Ann Voskamps, Simple Gifts, yet? Your thoughts are very much in line with hers - so good! I just ran across your blog...it looks really neat and I'm having fun exploring! I just got here and have noticed how much we have in common already! From the kids, to the farmer hubby, to the faith. I love the last quote of this post...SO my life right now!